Symptom: Error 32003. Vsvars.bat could not be opened for write. Context: After VS.net 2008 Professional Install on Windows-7 home premium 64-bit , reboot, on opening Outlook 2010 32-bit. 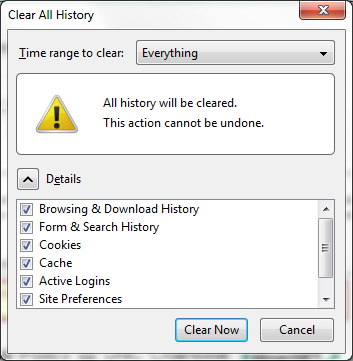 Resolution: In the file properties, tab:security, give “full control” permissions to “Everyone”. Comments: Changed permissions back after installer finished, have yet to see whether whether this errors again. 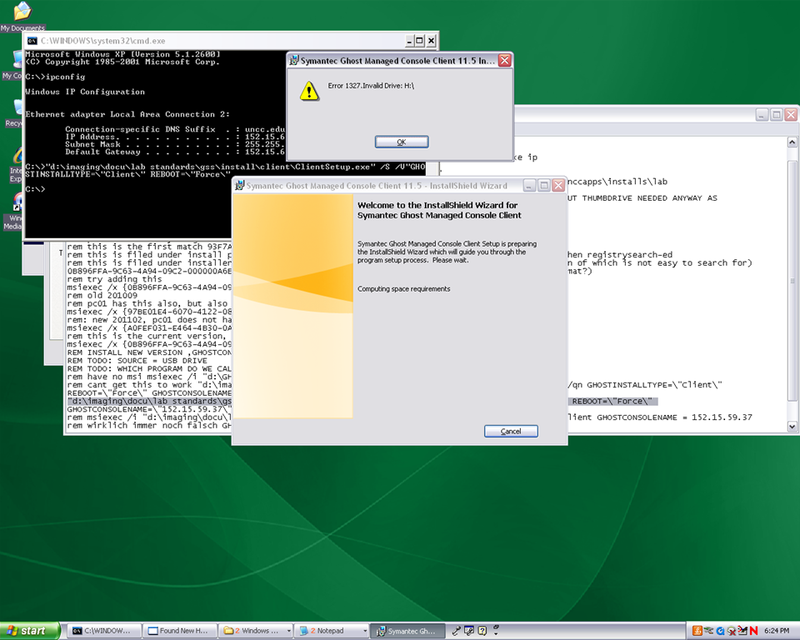 – Error did not occur on Vista Home Premium 64-bit . 0. 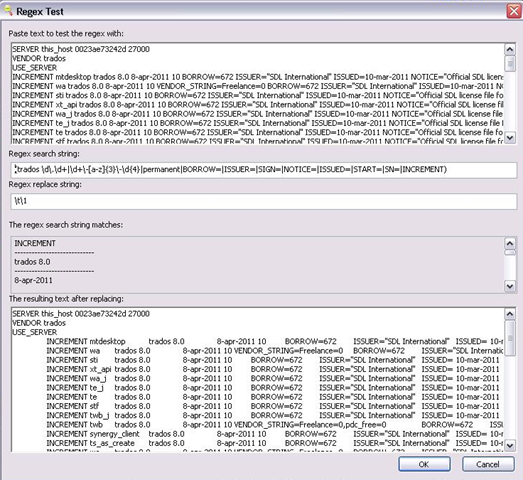 As of Winter 2011 Novell – AD and Deepfreeze 7 upgrade, flagged for updating: TBA. 3.1.1.3. 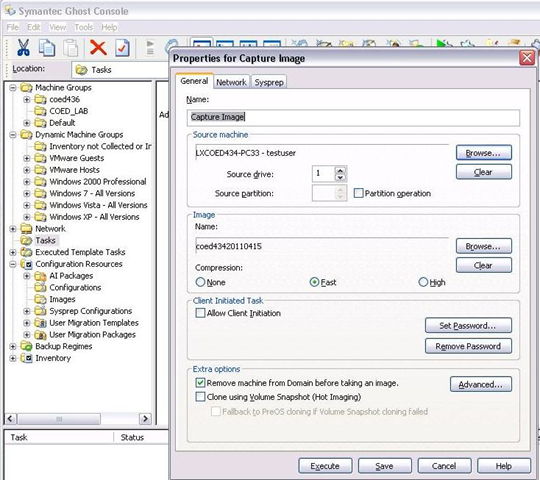 [IF NOT CHECKED]check tab:general /checkbox: Remove machine from Domain before taking an image. You must remove the computer from its domain if you are going to roll out the image file to a number of computers. [except if using sysprep]. 5.1.2.2. [ITEM IS ONLY FYI]alternative via batch configuration template: task “Add to AD group” to add to AD [for lcs? Is this why we do this separately from the domain? ]: tab:general, check configuration , target machine group: browse for your default group / coed434, tab;configuration: browse for “add machines to ad” – based on template “add machines to ad”, check allow template settings, tree: workgroup/domain membership / check apply member of , check uncheck computer name which is already set, no description , workgroup/domain: its.uncc.edu, container:unccharlotte / labs / clas / lcs / workstations, uncheck: Move computers that are currently in a container. 6.2.2.logging in (creating profiles based on default user) as staff and labstudent: language & translation apps coming up? 9.2 Add your scheduled maintenance window, again, to avoid domain trust issues . The lighting situation in the LRC caused problem both when using the teacher computer and when showing videos. The teacher screen which was flickering has been replaced. 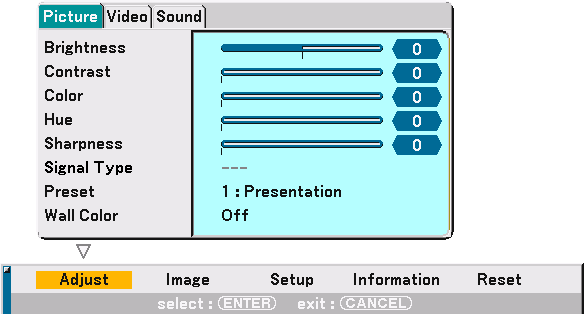 By clicking on the button”menu on the Sympodium screen of the teacher computer, you can adjust the screen more to your liking. While not an optimum display setting, under the current ambient light circumstances, we found it an improvement to the brightness and also the contrast. 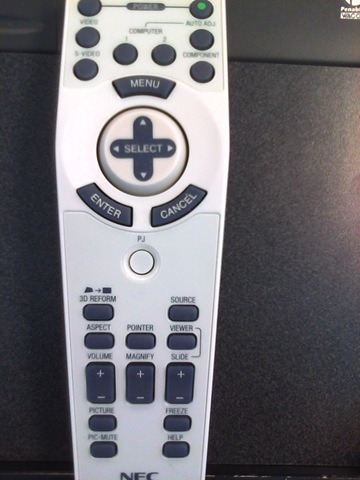 You can also adjust the projector by accessing the projector menu from the NEC remote control. Note that increasing the projector brightness will lower the life-span of the expensive projector bulbs. 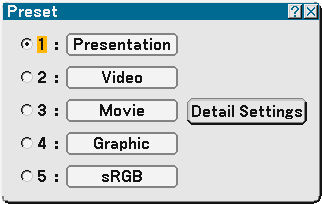 Note that the menu also contains presets for displaying video, computer and other sources. Presentation …… Recommended for presentations from a computer. Video …………….. Recommended for standard video such as a TV program. Movie ……………. Recommended for film based video such as a movie (DVD or HDTV). Finally, we made sure that the blinds cannot be raised, just tilted, to make it easier and quicker to darken the room as much as possible. 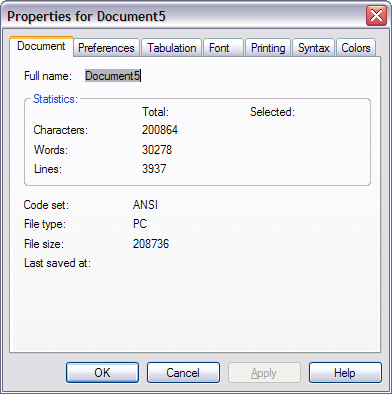 To examine licensing files, I am looking for a tool that can massage the computer-readable file (no XML) into a friendlier format (that can be imported into Excel). The regular needed to achieve that I too complex for TextPad or MS-Word. 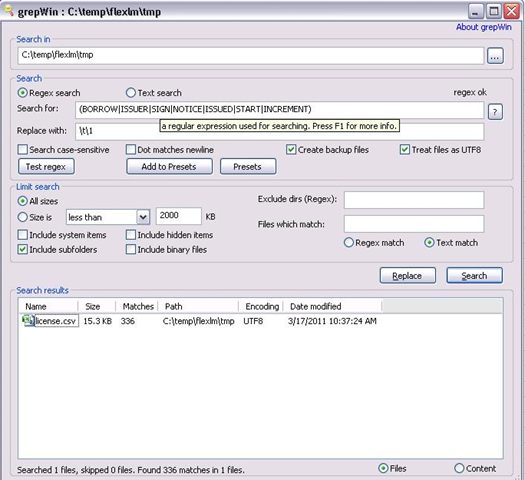 Other tools I have used have not been updated in a long ime (RegEx Workbench). Grep for Windows? I have just revitalized my cygwin installation, but would like something a little more user-friendly, with a GUI . That also rules out PowerShell’s 2.0 Select-String. PowerGrep, as recommended on stackoverflow, looks nice, but is not free. The install should be made under the account that will before imaging copied into the Default User Profile. The install files are here (you need to be logged into, as well as for the videos). 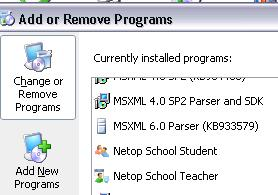 Both the teacher and the student software are recommended to be installed on the teacher computer. lrc-class: The name of the class that the Student module should join. YES:Whether the Teacher module should use the Windows login name of the Student computer as student primary display name. NO:Whether the communication profile should be changed to something other than the default TCP/IP, for example wireless. YES:Whether the Student module should join a class automatically when started. lrc-class:The name of the class the Student module should join. Note: This class name must match the class name defined in the Teacher module. 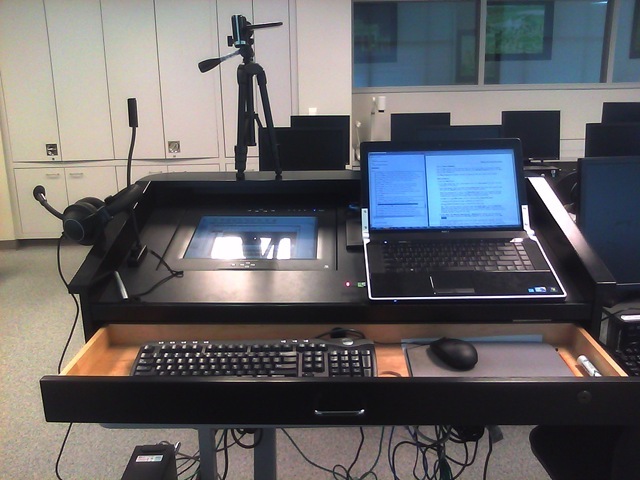 Functionality Test Screencast: (testuser needs to be logged in on PC05. Skip the waiting section before the results come in at the end; this is when I took the test on the student computer). In addition, try to point the shared folder for teachers J:\LRC\Plagwitz (try alternatively UNC: ). Try this first as labadmn (labadmn has no access to this share) and alternatively with your staff/teacher login (where Netop will likely accept it, but may not carry over from the labadmn into the Default User Profile).